"Oh! how immaterial are all materials! What things real are there, but imponderable thoughts?" "Although ethical discussions are not a particularly popular subject for the mass media, many people who might rarely, if ever, have been exposed to ethical arguments (much less challenged by them) were exposed to them through this comic strip." 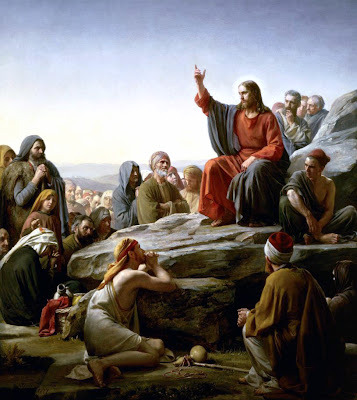 "Jesus is considered by scholars such as Weber to be an example of a charismatic religious leader. 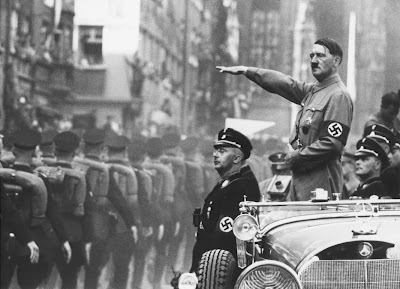 "Hitler is also considered to be an example of a charismatic leader." A man was travelling along a river; when evening came he sat down for a rest. Suddenly, a spirit flew down from a tree and knocked him on the head. The spirit lifted him up like a dead branch and carried him across the river. There he put him down. The man found himself in a city where all the houses were made of gold. In one of these houses the door was open and a beautiful girl was awaiting him. She welcomed him and he had a wonderful time with her. After some days he felt dizzy in the head. He went to a doctor who gave him medicine to drink. He fell asleep, and when he woke up he was again sitting near the bank of the river. 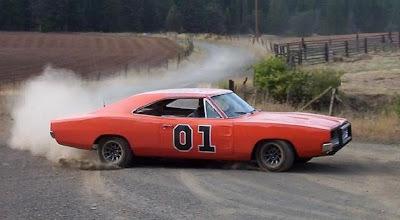 Three men were travelling in the wilderness when they discovered they had only one loaf of bread left. They decided it would not be enough for the three of them, so they made an agreement that one man would have all the bread. After much discussion they decided it should be the one who would have the best dream that night. They settled down for the night, and two of them slept at once. The third one could not sleep as he was plagued by hunger. So he got up and ate the bread. All of it. The next morning his companions rose early and he pretended to be emerging from profound dreams. He asked them at once what dreams they had had. Now the man who had eaten the bread told his companions: “I dreamt that an angel came to me and asked me: 'Have you seen what has happened to your friends?' I said no, I have not. So the angel took me by the hand and flew with me, up towards the stars and into Heaven. There we entered a hall where musicians were playing and where people were eating and feasting, and there I saw you, my friend, sitting on a golden throne and surrounded by beautiful angels. I was then told that you would be staying there until the end of time. "Sorrell Booke graduated from both Yale and Columbia universities, served the U.S. during the Korean War as a counterintelligence officer, fluently spoke five languages, and once conducted the Buffalo Philharmonic Orchestra. 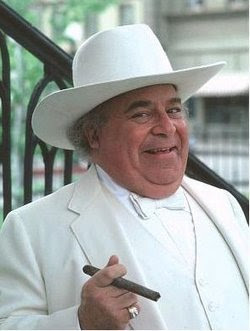 Naturally, he is best known for playing Boss Hogg, a greedy fatass in white polyester." "What Americans often consider a single unique system of health care is an illusion: we exist in a sea of not-so-unique alternatives. Like the citizens of Germany and Japan, workers in the United States share insurance premiums with an employer. Like Canadians, our older, destitute and disabled citizens see private providers with the government paying. Like the British, military veterans and Native Americans receive care in government facilities with the government paying the tab. And like the poor around the world, our uninsured pay cash, finagle charity care, or stay home." Founded in 1995, the "H.P. 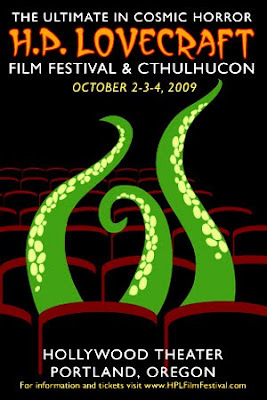 Lovecraft Film Festival promotes the works of H.P. Lovecraft, literary horror, and weird tales through the cinematic adaptations by professional and amateur filmmakers." "The only festival that understands." 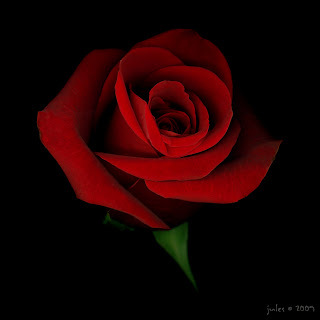 "You can't appreciate the beauty of a rose if you ponder that the color red is just the brain's interpretation of a specific wavelength of light with crests that are roughly 700 nanometers apart." "To cut oneself entirely from one's kind is impossible. To live in a desert one must be a saint." "'Art is a spiritual culture whose best conceptions are never brought down to the physical plane.' This may have been esoteric philosophy, or it may have been an excuse for indolence--of that intellectual kind that often accompanies great powers." "In March 1889, a German naval force invaded a village in Samoa, and by doing so destroyed some American property. Three American warships then entered the Samoan harbor and were prepared to fire on the three German warships found there. 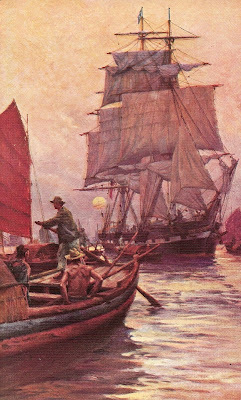 Before guns were fired, a typhoon wrecked both the American and German ships. A compulsory armistice was called because of the lack of warships." "North Dakota" by Lyle Lovett, U.S.A.
"North Dakota" by Kris Delmhorst, U.S.A.
"North Dakota" by Chris Knight, U.S.A. The girl wept. Through her tears she said, with a knife for a voice: "If you are a man, you will do it." "Oh no, lady. Only if I am your notion of a man." "During the reign of Kublai Khan, the grandson of Genghis Khan and an ardent convert to Buddhism, the abbots of an important Tibetan monastery were recognized as the political rulers of all Tibet. In return for this favor, the new Dalai Lama, in his quality of spiritual over-lord of the whole Buddhist world, officially crowned the Tartar Khan Emperor of Mongolia, just as Pope Leo III had crowned Charlemagne." "I have never seen anyone die for the ontological argument. Galileo, who held a scientific truth of great importance, abjured it with the greatest ease as soon as it endangered his life.... Whether the earth or the sun revolves around the other is a matter of profound indifference. To tell the truth, it is a futile question. On the other hand, I see many people die because they judge that life is not worth living. I see others paradoxically getting killed for the ideas or illusions that give them a reason for living (what is called a reason for living is also an excellent reason for dying)."